Now that the archive of the British newsreel makers British Pathé is available on YouTube, there's material enough to revive the tradition of the Friday nostalgia posts. Of course, British Pathé was a voice of the British Empire even in its twilight, and the Imperial attitudes come through; Kipling and Queen Victoria would have approved. So I thought I'd choose a few from the career of Sir John Bagot Glubb (1897-1986), who commanded the Arab Legion in Transjordan and then Jordan and was, of course, British. The commentaries are revealing. In 1948 we hear this "Mystery Man" compared to T.E. 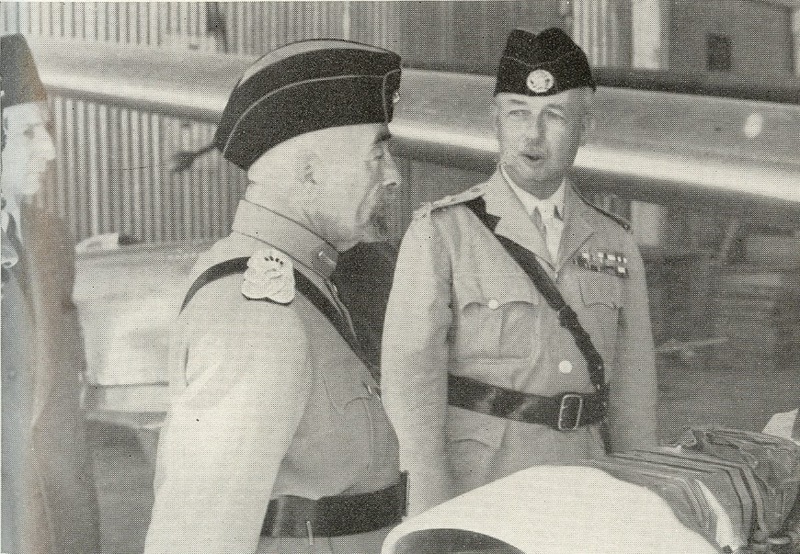 Lawrence and the Arab Legion described as the strongest military east of Gibraltar. Yet they had some setbacks in 1948 as I recall. Again a 1954 parade talks about "Jordan's boy king" Hussein and praises the Arab Legion (but mostly Glubb). Then comes the fall: the dismissal of Glubb by King Hussein in 1956, during the tensions associated with the Baghdad Pact and the rise of Nasser. Or rather, through Pathé's lenses, he was "unceremoniously sacked" by the "boy king" whose family he had served for "three generations" (counting's Talal's one year in office). Finally, of course, he receives his deserved reward, not in Amman but in London, with his Knighthood. It's a reminder of the last gasps of British influence in the Middle East in that year of the Suez War, though the Union Jack would fly a bit longer in Aden and the Gulf. I heard Sir John speak in the 1970s, when he must have been about 80: still looking and bearing himself like a British officer of another era.